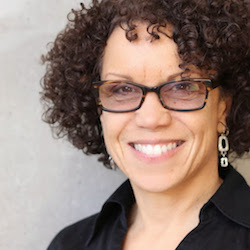 Michaele Pride is a professor of architecture at the University of New Mexico School of Architecture and Planning and formerly served as the school's associate dean for Public Outreach and Engagement. As an architect and urban designer, Pride’s areas of expertise emphasizes principles of equity, justice, collaboration and public engagement, and she has a long history of developing the built environment in a socially conscious way. After the 1992 civil unrest in Los Angeles, she helped found the Design Professionals’ Coalition, offering assistance to neglected communities of South LA. She left private practice in Los Angeles to become the inaugural director of the Downtown Design Center at the University of Kentucky in 1996. Currently, Pride serves on the Design Review Committee for the Sawmill Community Land Trust and on the AIA Albuquerque Awards Committee. She has served on several national and international design and awards juries, including design competitions for the Oklahoma City Memorial and the new US Embassy in London. She recently served on the Cincinnati City Planning Commission and co-chaired the steering committee for the 2010 Comprehensive Plan process. Larry is a transportation planner with over 35 years of experience in public transit planning and operations. At Nelson Nygaard, Larry works on transit plans ranging from high capacity rail projects to community and campus circulators. As a member of the national Board of the Congress for the New Urbanism, as well as a founder of the New York chapter, Larry advocates for reinforcing good development decisions with good transit decisions. Previously, Larry served in various capacities in the Operations Planning division of Metropolitan Transportation Authority (MTA) New York City Transit where he was responsible for short-term service planning for bus and rail, including planning for capital projects, construction, contingencies, and special events. He has created systems for implementing tens of billions in capital investment while maintaining nearly full service for customers as well as service plans for every major event and venue, and every potential and actual disaster, affecting New York City, including delay management for everyday problems. A member of the MTA’s Blue Ribbon Sustainability Commission, he helped developed MTA’s Smart Growth and transit-oriented development program. David Kim is a co-founder and principal of Tolar|Anderson|Kim Architecture+Urban Design. He is a registered architect in California and New York with over twenty-two years of professional experience. His expertise as a designer lies in understanding the complexities of design and planning at all scales, and being able to embrace the macro-issues of finance and policies along with the finer points of building codes and construction details. 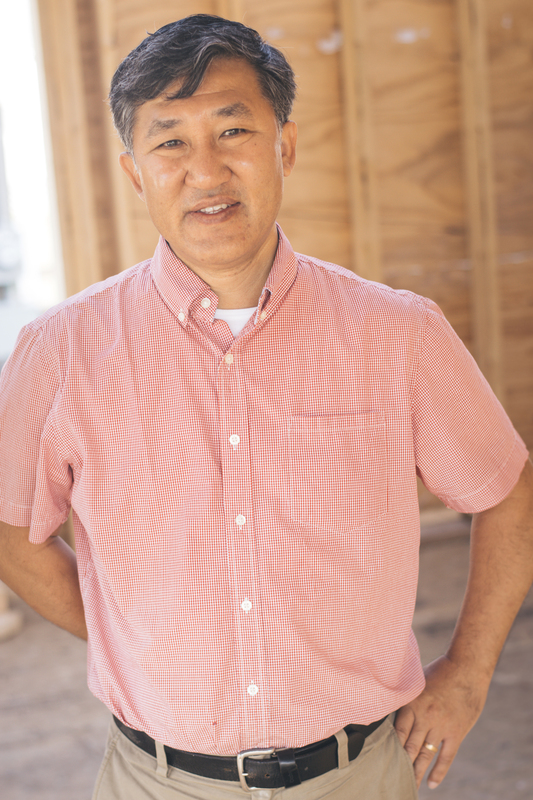 He has led project teams resulting in the construction of several courtyard housing and mixed-use transit-oriented developments, as well as the design of residential and mixed-use prototypes for traditional neighborhood developments. Widely traveled and with a deep interest in the issues of growth and livability confronting much of the emerging world, Kim also brings to CNU an awareness of the many different international contexts in which New Urbanism is being applied. 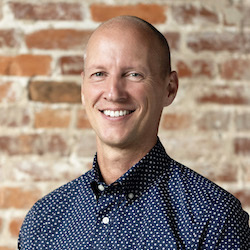 Matthew Lambert is a planner, urban designer, and architectural designer, with nearly two decades of experience that covers a broad range of project types. He has managed projects for developer, municipal, and institutional clients which include form-based codes, regulatory reform, urban infill and redevelopment, greenfielddevelopment, campus redevelopment, and architectural design. Among his project experience, Matthew has focused on regulations and form-based codes, leading code projects and providing code-related education. Lambert heads DPZ CoDESIGN’s office in Portland, Oregon, leading projects within the region and across the country. He has been active in the Congress for the New Urbanism for over a decade, helping to elevate the voices of new members as an early leader of NextGen. In addition to his service on CNU’s national Board of Directors, he serves on the Board of the Cascadia regional CNU chapter. Matthew Lewis, CNU-A, is a city planner that discovered the real truth to community-based investment and economic prosperity. His ability to achieve community happiness and political balance has helped reshape the way cities look at development and community processes. Matthew has been the Development Services Director for two of the fastest growing cities in the nation. In these cities, he was able to build new urbanist infrastructure at a uncanny rate. He’s determined to share his knowledge to help other communities achieve great results with half the typical time and expense. He earned a degree in Geography: Urban Planning, City Planning, Regional Planning from Texas State University in 2003. Matthew travels across the nation assisting communities in creating places people love. Matthew’s approach to redefining our communities has received local, state and national awards and recognition. Jessica Cogan Millman is an expert and leader in urban planning, environmentally sustainable development, and the principles of smart growth. Her extensive experience includes working at all levels of government and in the non-profit arena, as well as at many scales, including in community development at the neighborhood level. As a founding member of the LEED for Neighborhood Development (LEED-ND) Core Committee, Jessica drafted many of the credits. Through the Natural Resources Defense Council’s Green Neighborhoods Program, she experimented with applying the LEED-ND rating system in non-traditional ways, including using the rating system as an audit tool to measure a community’s efforts to achieve their sustainability goals. Among the positions Jessica has held are Deputy Director of the Smart Growth Leadership Institute at Smart Growth America; Planning Director for the Coalition for Smarter Growth in Washington, DC, Chief of Staff for the Governor’s Office of Smart Growth in Maryland and as the Director of Program and Policy Coordination at the Maryland Department of Planning; and a variety of positions at the United States Environmental Protection Agency. Lynn Richards is President and CEO of the Congress for the New Urbanism. Previously, Richards had a long and distinguished career at the US Environmental Protection Agency (EPA), holding multiple leadership roles over 13 years including Acting Director and Policy Director in the Office of Sustainable Communities. She worked with dozens of state and local governments to implement placemaking approaches by developing policies, urban design strategies, and environmental solutions for vibrant, prosperous neighborhoods. Additionally, she produced groundbreaking research on water and land use strategies. Before joining the EPA, Richards worked briefly in the private sector at a consulting firm. She lived and worked in the former Soviet Republics from 1988 to 1995, helping environmental groups increase their organizational and political effectiveness. Richards was awarded a Loeb Fellowship in Advanced Environmental Studies at the Harvard University Graduate School of Design in the 2012-2013 school year. She has a dual Masters in Environmental Science and Public Affairs from Indiana University. Scot Spencer leads the Annie E. Casey Foundation’s work in advancing community-focused policies, practices and strategies that increase opportunities for children, families and the places where they live and foster their success. Spencer also coordinates Casey’s local advocacy efforts in Baltimore. Before taking on these roles, Spencer managed Casey’s investments in East Baltimore, where the Foundation seeks to strengthen community and economic development in a historic, low-income neighborhood next door to the Johns Hopkins University medical campus. He previously was a transportation specialist at the Environmental Defense Fund, where he focused on state-level smart-growth policy and Commuter Choice, a local tax incentive for people who use transit. He also served as deputy director for Historic East Baltimore Community Action Coalition. There, he led the federal Bridges to Work demonstration, which provided job training and placement services for residents in East and West Baltimore, as well as transportation from their neighborhoods to employment centers in the suburbs. In addition, he worked for several years in private architectural practice, community development and university relations in upstate New York. 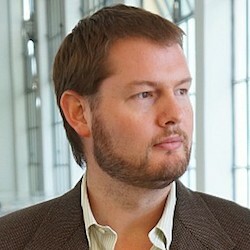 In 2013 Frank Starkey founded People Places, LLC, a real estate development, design and consulting company. Drawing on his broad experience, the People Places goal is to craft vibrant, people-oriented residential and/or retail places in walkable settings. The firm is pursuing infill and redevelopment opportunities in various towns throughout Florida. Mr. Starkey has deep experience developing pedestrian oriented neighborhoods. As co-founder (with his brother, Trey) of Longleaf, a 568-acre Traditional Neighborhood Development just Northwest of Tampa he was intimately involved in neighborhood design, entitlement, engineering, permitting, construction, builder program, architectural review (using a form-based design code) marketing, homeowner association, mixed-use development and property management (he even operated a coffee shop in its Downtown!) From 2005 through 2012 the brothers co-managed the planning, engineering, entitlements, marketing and sale of Starkey Ranch, a 2,500-acre multi-use development planned for the family’s remaining land. In 2012, the Starkeys closed a multi-year takedown of the Ranch to Wheelock Street Capital, which is now developing the project. Throughout his career Mr. Starkey has been at the leading edge of New Urbanism, serving as board member and President/chairperson of the National Town Builders Association and The Seaside Institute; as a member of the Rollins College Masters of Planning in Civic Urbanism advisory board, and as the first Developer in Residence at the University of Miami’s Masters in Real Estate + Urbanism (MRED+U) program. 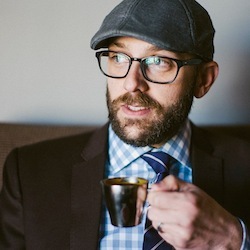 He is a frequent presenter at the Congress for the New Urbanism and other state and national conferences, and has participated in various steering committees, symposia and summit meetings related to urban development, including an Urban Land Institute Technical Advisory Panel in Bradenton, Florida. A registered architect and Member of the American Institute of Architects, Frank holds undergraduate and professional degrees in architecture and urban design from Rice University, is CNU (Congress for the New Urbanism) Accredited, and a member of Urban Land Institute and Leadership Florida (Class XXVII). 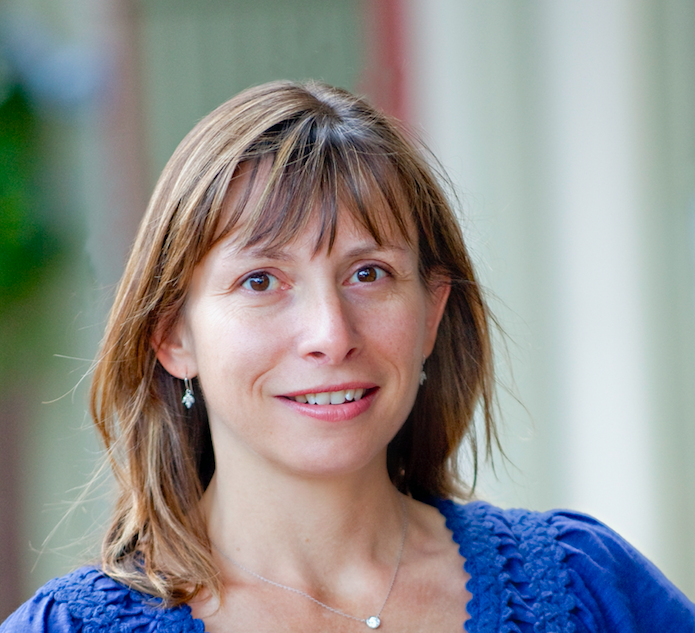 Emily Talen is Professor of Urbanism at the University of Chicago. Prior appointments were at Arizona State University and the University of Illinois at Urbana-Champaign. She has a PhD in urban geography from the University of California, Santa Barbara. Her research is devoted to urban design and urbanism, especially the relationship between the built environment and social equity. Her books include: New Urbanism and American Planning, Design for Diversity, Urban Design Reclaimed, and City Rules. She also has several edited volumes – the most recent one is Retrofitting Sprawl: Addressing 70 Years of Failed Urban Form. She is the recipient of a Guggenheim Fellowship (2014-15), and is a Fellow of the American Institute of Certified Planners. Her next book, to be published in 2017, is called Neighborhood. Laurie Volk is principal in charge of Zimmerman/Volk Associates market studies and is the firm's primary analyst of demographic, market, and lifestyle trends. Volk has been directly involved with every market study completed by Zimmerman/Volk Associates since the company's founding in 1988. Volk's development of analytical tools to determine the market potential for downtown housing; for mixed-income, mixed-tenure repopulation and stabilization of fragile inner-city neighborhoods, and for new mixed-use, pedestrian-oriented traditional neighborhoods has been instrumental in bringing Zimmerman/Volk Associates into national prominence. Since 1988, the firm has completed more than 450 market studies for properties ranging in size from the redevelopment of a block, to the establishment of a new town on several thousand acres. She has conducted more than 70 downtown studies across the country, in cities ranging in size from Albion, Michigan to Baltimore, Maryland. Volk currently serves on the Advisory Board of the Remaking Cities Institute. She was a founding board member of the National Charrette Institute, and served for more than a dozen years on the Board of Governors of the Seaside Institute. She also served as a member of the Technical Advisory Group for Location and Planning of the US Green Building Council. Volk was a recipient of a 2002 Knight Fellowship in Community Building, and has been an instructor on market analysis for the Center for Urban Redevelopment Excellence at the University of Pennsylvania. She and her partner, Todd Zimmerman, are recipients of the 2015 Seaside Prize. Prior to Zimmerman/Volk Associates, Ms. Volk established international credentials for her observations of consumer and economic trends as a writer and researcher for The Times of London, and as a member of the prestigious Insight Team of The Sunday Times. In addition, she was chief of research for over a dozen Sunday Times books, covering topics ranging from finance to commercial aviation. She is a graduate of Duke University, with a Bachelor of Arts degree. Peter Calthorpe’s long and honored career in urban design, planning, and architecture began in 1976, combining his experience in each discipline to develop new approaches to urban revitalization, suburban growth, and regional planning. In 1983, Peter Calthorpe founded the award-winning firm of Calthorpe Associates devoted to sustainable urban design and planning globally. Throughout his honored career in urban design, planning, and architecture, he has been a pioneer of innovative approaches to urban revitalization, community planning, and regional design. For his contribution in redefining the models of urban and suburban growth, Calthorpe was awarded ULI’s prestigious 'J.C. Nichols Prize for Visionaries in Urban Development' in 2006. He is one of the founders and the first board president of Congress of New Urbanism. Metropolis Magazine claims: “The titles of Peter Calthorpe’s books define the recent history of urban design in its most vital and prescient manifestations”. Robert Davis is President and principal of Seaside Community Development Corporation (SCDC). He is responsible for the planning and development of Seaside, a resort town in the Florida panhandle. Seaside has revived local vernacular traditions in its urban design, its architecture and the construction of its homes. Seaside has been the focus of widespread media attention in Time, The Wall Street Journal, Smithsonian, The Atlantic, The New York Times and in broadcasts on ABC, NBC, CBS, CNN, PBS, and the BBC. SCDC has been in business since 1982 and currently employs approximately 120 people. Andres Duany has been a founding partner of two very influential architecture firms: Arquitectonica and DPZ Partners. With the latter firm, he has co-designed the towns of Seaside and Kentlands, along with more than 140 other neighborhoods, towns, and cities. Duany has written a chapter of Architectural Graphic Standards and The Lexicon of the New Urbanism. He is an adjunct professor at the University of Miami, has worked as visiting professor at many other institutions, and teaches planning at the Harvard Graduate School of Design. DPZ Partners has been the subject of over 800 articles and has received the Thomas Jefferson Memorial Medal of Architecture. Along with his B.Arch. from Princeton, his M.Arch from Yale, and his study at the Ecole des Beaux Arts, Mr. Duany also holds two honorary doctorates. Elizabeth Moule is a principal of the Los Angeles-based firm Moule & Polyzoides Architects and Urbanists. The firm specializes in urbanism in new and existing places, campus architecture and planning, civic architecture, and historic preservation and adaptive reuse. The firm's work is published widely, most recently in The International Architectural Yearbook and in two books by James Steele, Los Angeles: The Current Condition and Sustainable Architecture. Their work was shown in the Los Angeles Museum of Contemporary Art's exhibition "Urban Revisions." Ms. Moule is CEO of Meridian Properties, a real estate development company dedicated to new urbanist infill development. She received a B.A. in art history from Smith College, attended the Institute for Architecture and Urban Studies in New York, and holds a M.Arch. from Princeton. Ms. Moule teaches as a visiting critic at universities in the United States and abroad. She lectures frequently on architecture and urbanism. Elizabeth Plater-Zyberk is an architect and town planner who cofounded DPZ Partners in 1980. DPZ has distinguished itself by designing traditional towns and retrofitting livable downtowns into existing suburbs. In 1991, Ms. Plater-Zyberk helped write a groundbreaking Traditional Neighborhood Development Ordinance for Miami-Dade County, Florida. Since 1995, she has been Dean of the University of Miami School of Architecture. At Miami, she founded a master of architecture program in Suburb and Town Design and has served as Director for the Center for Urban and Community Design.She has a B.Arch from Princeton and a M.Arch. from Yale. She has been a visiting professor at many major North American schools of architecture, has been a Resident at the American Academy in Rome, and is a trustee of Princeton University. ​Stefanos Polyzoides is a principal of Moule & Polyzoides, Architects and Urbanists. He was born in Athens, Greece, received his B.A. and M.Arch. from Princeton University, and has lived in Los Angeles since 1973. He is a registered architect in the states of California and Arizona. Mr. Polyzoides has worked on the practice, theory, and education of architecture and urban design. His projects have included institutional and civic buildings, historic rehabilitation, commercial projects, housing, campus planning, and urban design. He is an associate professor of architecture at the University of Southern California and has been a visiting professor at several other schools, including Princeton University. Mr. Polyzoides' articles have been featured in both national and international journals. He is the author of two books, Los Angeles Courtyard Housing: A Typological Analysis and R.M. Schindler, Architect. In addition, his research has produced four distinguished exhibitions and exhibition catalogs: "Caltech: 1910-1950," "Myron Hunt: 1868-1952," "Wallace Neff," and "Johnson, Kaufmann & Coate." Daniel Solomon is an architect, urban designer and professor emeritus, whose fifty-year career combines achievements in professional practice with teaching and writing. His projects have been published in architectural journals worldwide and have been recognized with well over a hundred design awards. The main focus of his work has been residential architecture and the interaction between housing and urban design. From this base his work has expanded in several directions including large-scale urban planning, regulatory structures that govern urban design and residential, commercial, and institutional architecture. He is the author of many articles and three books: ReBuilding, Global City Blues, and Cosmopolis. A fourth book, Love versus Hope; Housing and the City is nearly complete. He was one of the co-founders of the Congress for the New Urbanism and is currently a partner in the Seattle and San Francisco based firm Mithun.